Pick five musicians among the France’s best young jazzmen, bestow an encyclopedic musical knowledge on them then blend everything together and you’ll get Papanosh. From April 18th to 30th Papanosh spreads its colourful and soulful jazz in Latvia, Estonia, Finland, Lithuania and Poland, taking part to three outstanding festivals of the area: Jazzkaar (Tallinn + all Estonia), Jazz Joy Spring (Daugavpils) and Katowice JazzArt Festival. 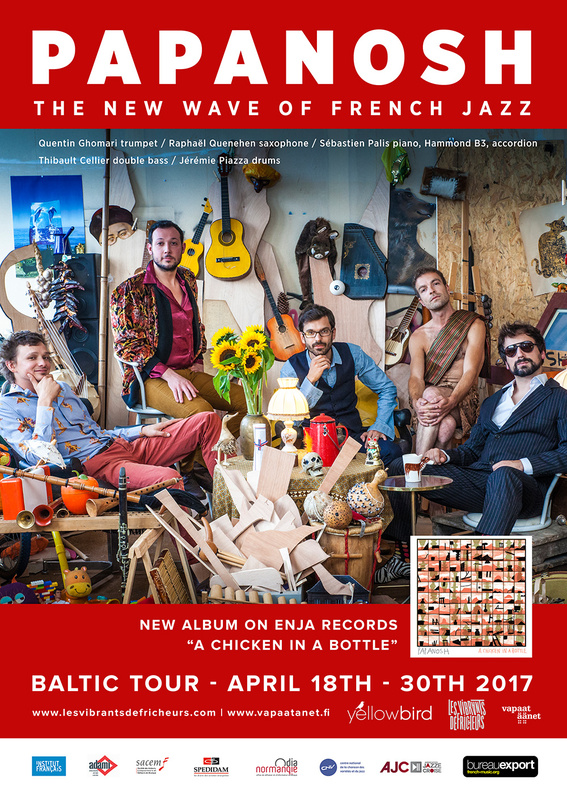 They perform the music of their new album “A Chicken in a Bottle” (Enja, Yellowbird).